Event 1 - Darrell Cain opens for 20,000 first-to-act, action folds to Wilton Alejandro on the button, who makes it 75,000. John Duckworth and Joseph Alban get out of the way from the blinds and off to the flop they go. Cain checks the flop, Alejandro (above) makes it 80m000 and Cain comes along. Alejandro makes it 100,000 more with the turn, Cain check-raises all-in and Alejandro snap-calls off his stack. Cain turns over Ace_Queen for two pair. Alejandro shows for flopped top set, and Duckworth breathes a sigh of relief, saying he folded from the SB. The dealer counts out the stacks, 455,500 is the all-in, leaving Cain with 125,000. Duckworth sits in disbelief that he folded quads. 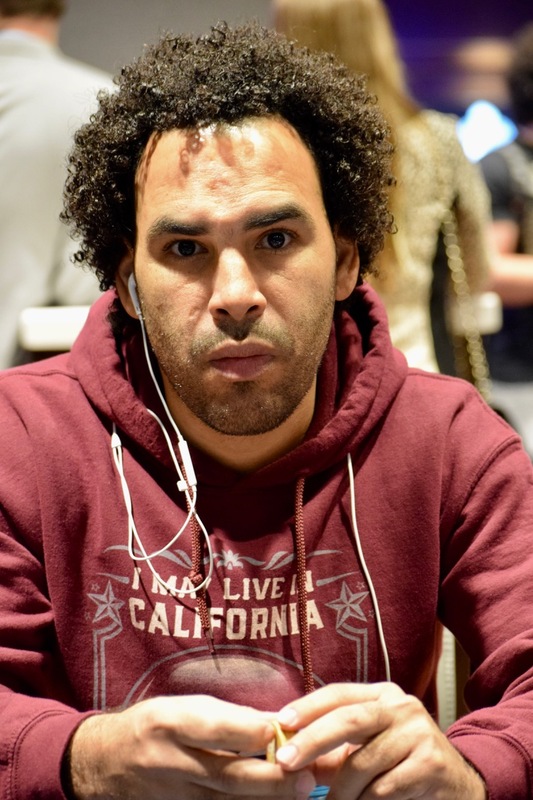 Alejandro takes over the chiplead 10-handed, sitting now with 1,250,000 as players take a break.